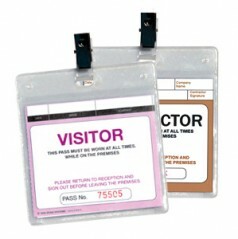 Designed to hold the Visitors Pass Register (CVSFR). 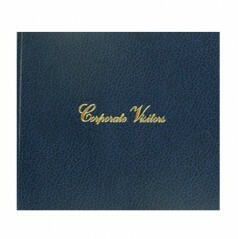 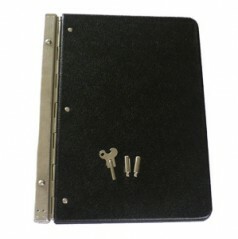 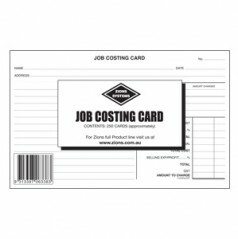 A quality, black covered binder with protective brass corners and built in writing plate. 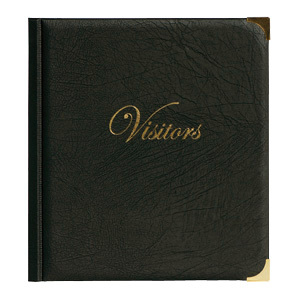 Gold blocked “Visitors” on the face.